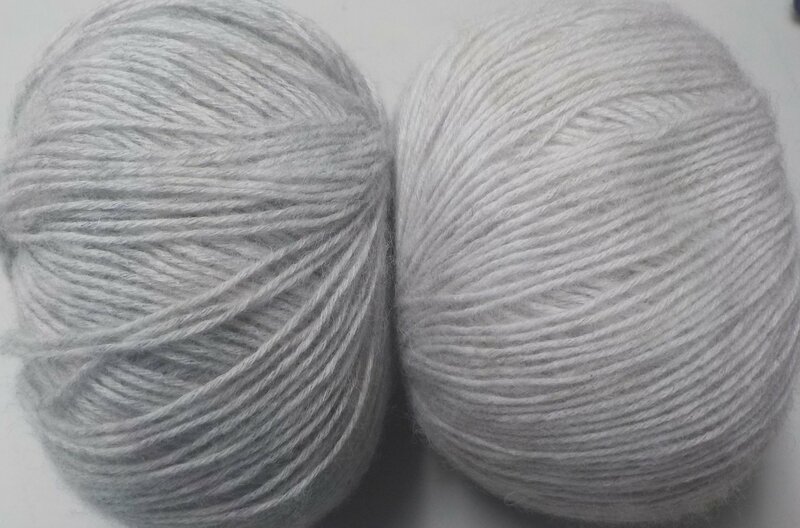 a seductive blend of merino and alpaca come together around twisted strands of cotton. 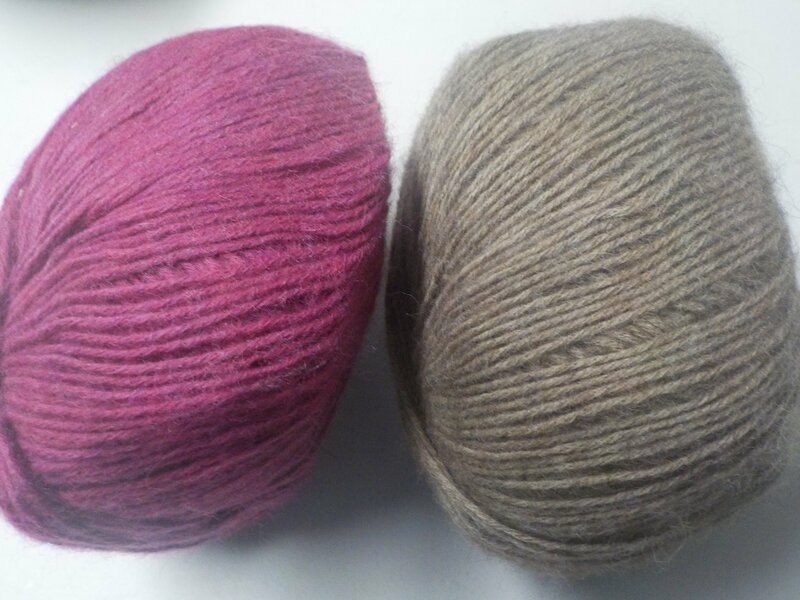 Brushed to create a romantic halo, each of the fibers picks up the dye with it's own unique hue allowing for a unique color depth in each shade. 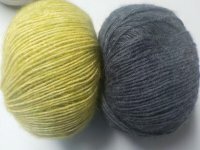 The distinctive fiber blend of this yarn allows for finished projects to have the weightlessness dreams are made of. With that description. 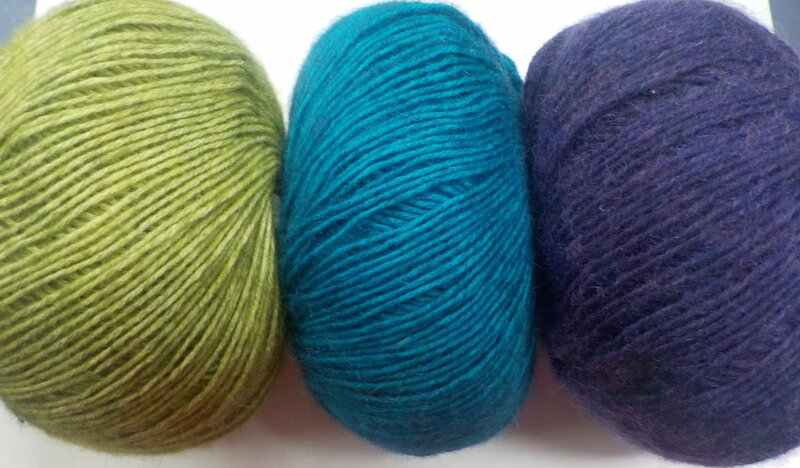 235 yards per skein and a price of just $14.99, this yarn sells itself before you even get to touch it! And once touched, you'll be smitten! recommended knit at 6 sts/inch on a US 6 it would be a lovely choice for a 2 color hat or for gloves. 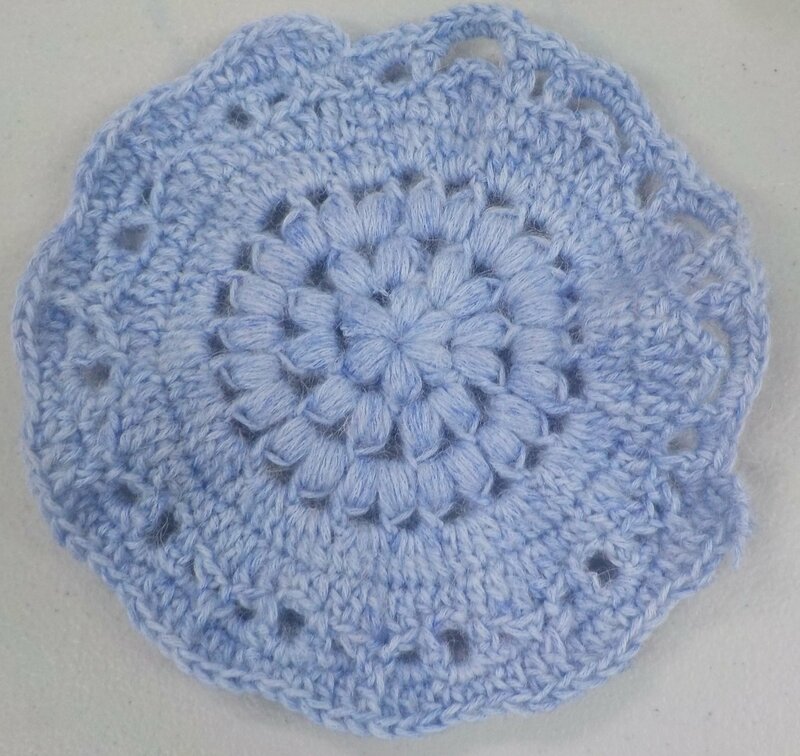 The lovely blue swatch shown below was crocheted by Jess, who joined us for the Yarn Tasting this month. This crocheted sample gives you an idea of what nice stitch defintion this yarn will have even with the "halo" from the brushed alpaca!